We deal in different types of Pure Calibration Gases such as N-Butane, Carbon Monoxide, Methane, Sulpher Hexaflouride, Iso-Butane, Neon, Propane, Ethylene, etc. They are sourced from the trusted vendors only. 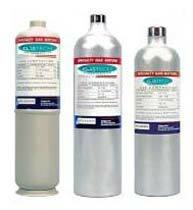 We, being a renowned name as Gases Supplier in India, bring forth only Pure Calibration Gases. They can be purchased from us at the most competitive rates.